Over the summer Donald Trump objected to the presidential debate schedule, but "as of this moment," he is on board for all three debates. He told reporters Monday that he has no qualms with the moderators, who were announced by the Commission on Presidential Debates last week. "I like them. I respect the moderators. I do respect them. It's interesting," Trump said during a Q&A session on board his plane. The commission had a harder-than-usual time choosing the moderators due to Trump's history of media-bashing and Hillary Clinton's unique relationship with the press. 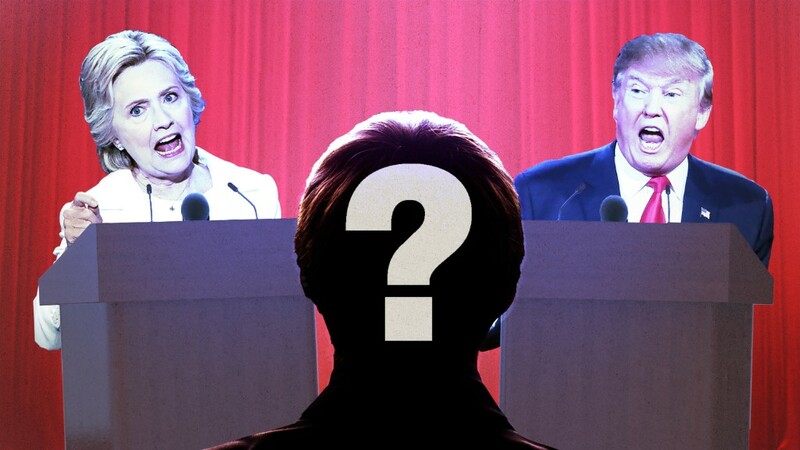 NBC's Lester Holt will moderate the first debate on September 26. CNN's Anderson Cooper and ABC's Martha Raddatz will lead the second debate, a town hall format, on October 9. Fox's Chris Wallace will moderate the third debate on October 19. To prepare for his face-offs with Clinton, Trump said, "I think I'm doing the same thing" that worked for him during the primaries -- prepping, but not over-preparing. No one is playing Clinton in mock debates, because he is not holding mock debates, he said. "I've seen some people do so much prep work that when they get out there, they can't speak. I've seen that. So yeah, we're doing some," Trump told reporters. During the Q&A, he initially said that "as of this moment," he is planning on attending the debates. "No, I expect to do all 3 of the debates. I look forward to the debates," he said. "I think it's an important element of what we're doing. I think you have an obligation to the debates. I did them in the other cases." In early August the Clinton campaign formally announced that Clinton would attend all three sessions and challenged Trump to make the same commitment. Trump originally lodged a complaint about the debate schedule in late July, after he was informed that the two of the debate nights coincide with NFL games. The sporting event overlap has happened many times before, but Trump alleged that Clinton and the Democrats were "trying to rig the debates." The Republican Party seconded Trump's objection, and Republican National Committee chief strategist and communications director Sean Spicer said the scheduling "was a dumb idea and should be revisited." The bipartisan commission that has orchestrated all the debates since 1988 defended the schedule -- and signaled that the dates would not move despite Trump's objection. In recent weeks the GOP nominee has not mentioned the NFL game conflict. One thing is for sure: The Trump-Clinton debates will be higher-rated than any football game.